ELIZABETH BALDWIN PARK. Who was Elizabeth Baldwin? Her family money founded Houston. She is a woman, unsung in the history of Houston whose guiding vision is yet to be recognized. It was her clever idea to name the real estate speculation after Sam Houston and invite him to make it the Capital of Texas. King William Fair, April 28th is a delight and I am proud to be invited. I will post a picture when one becomes available. Its a scene. Everybody dresses up in White Lenin. Note that it is all very relaxed. A showcase of Texas Wines, Fine Dining and handmade arts and crafts with artisans from across the country. Pig Puns & Fun Activities and Events for Everyone! 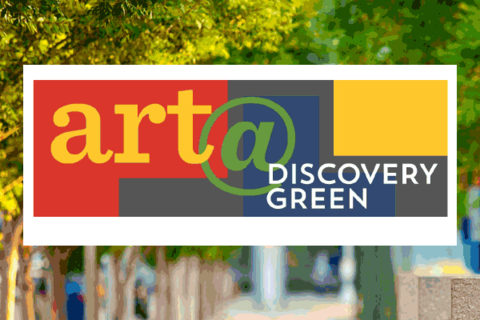 Rigorously Juried, high quality fine Art and Fine Crafts in a park-like shopping venue. This will be one of our rare Austin-area appearances. This is a premier Arts and Fine Crafts Festival in one of the most pleasant settings we know of in Texas for Memorial Weekend. The people really loved my mobiles here last year,. This year I am coming with more variety and color. Last year's event was reviewed in picture by the Dallas Morning News. I got to make things for kids who were empowered to make purchases. I am setting up my full display and then staging a production workshop of mobiles. The aim is to create about a dozen new mobiles. I love to bounce off the creativity an energy of the patrons to our various shows. Montrose has long been a center of creativity and intelligence in Houston culture. We couldn't contain ourselves and were forced by desire for entertainment and a good bargain to set up a second time at the Wimberley Lions market Day.